If you are looking to gear up for ski season with the best new pair of skis or some new threads we’ve got your back. Our retailers are offering tons of ski deals for Black Friday sales and Cyber Monday deals on new ski equipment from powder skis to jackets to pants and much more just in time for the holidays. We’ve also compiled a list of the top ski reviews for men and women of all levels in our definitive Supernatural Awards Buyer’s Guide OR try our instant ski finder. Have questions about gear? Send us a note we’re happy to help out with recommendations. Backcountry.com is an online specialty retailer that sells clothing and outdoor recreation gear for skiing, avalanche safety, snowboarding and much more. They are well known throughout the industry and have a top notch return and warranty program. Recreational Equipment Inc., commonly known as REI, is a privately held American retail corporation organized as a consumers’ cooperative, selling outdoor recreation gear, sporting goods, and clothing. They are well know for competitive pricing, a great sales staff and some of the best warranty and return policies. 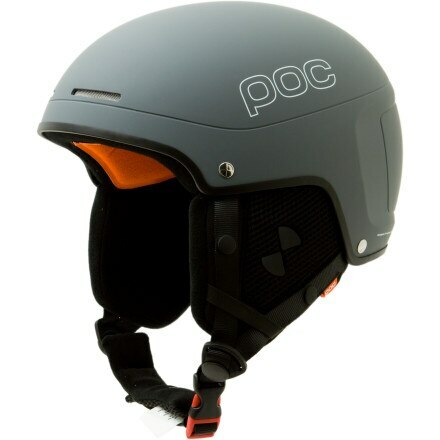 Skis.com is an online outdoor retailer that specializes in gear for skiing, snowboarding, and ski clothing. They often offer free shipping. Our country is built on credit and people like to buy things now and pay for them later. Well, the inverse is also true, buy now and save on what it will cost you later. If you are a skier, the best investment you can make is locking down your discount lift tickets before the price goes up. While there are very few guarantees in life, it is certain lift ticket prices will rise. SkiGenie is dedicated to helping you stay ahead of the game (but we can only wish you the best of luck with perfect snow conditions). Over the past few years resorts have shifted their sales model to benefit those who plan ahead while penalizing less price sensitive customers that show up to the ticket window to purchase ski lift tickets day-of. This model has worked and the ski pass deals continue to flow to those fortunate to know about them while others are busy water skiing and beaching. If you buy during the offseason you can save big on new passes that offer unique opportunities to visit all of your favorite resorts. Don’t get left out of the 2014/2015 ski season and you’ll thank yourself come Thanksgiving. The deals are complex but there is not a lot of fine print (i.e. blackout dates). Our recommendation for the well-travelled or those seeking to complete their bucket list is the Mountain Collective pass. If you live in Colorado or ski Squaw Valley often you need the Epic Pass. If you ski locally in the North East there are a number of options in NH to keep the cost down next season. This off-season Mountain Collective is offering a $359 pass good for 2 days each (12 in total) at Alta / Snowbird, Aspen Snowmass, Jackson Hole, Mammoth, Whistler Blackcomb and Squaw Valley / Alpine Meadows – all for the cost of just 3 single day lift tickets at any of these resorts. Plus you get 50% off additional days and discounts on lodging. Available until sold out…. The Rocky Mountain Superpass+ for $509 (adults) includes unlimited skiing and riding at Winter Park / Mary Jane and Copper Mountain, plus six unrestricted days at Steamboat and three unrestricted days at Crested Butte. The Salt Lake Super Pass good for Alta, Snowbird, Brighton and Solitude may benefit some but is recommended for extended stays (you must use your days within a 7-14 day window of day 1. Solitude is often overlooked but offers some of the best snow in the area. The NH Season pass programs include a number of options for some of NH’s top resorts that are a short drive for those Boston based skiers and riders. Ski resorts include, Waterville Valley, Cannon, Bretton Woods, Cranmore and Mt. Sunapee. I must admit, as a seasoned ski traveler I always bring my own skis on ski vacations. However, there are now better ski options from ski rental valets services such as Ski Butlers, Black Tie Skis and RentSkis that show up right at your door. These new services make jamming my ski bag into the back of a taxi cab feel like it should be a thing of the past. Not to mention that once you’ve successfully made it to the airport you pull out your wallet and pay up for baggage fees at the ticket counter just to haul your favorite pair of boards across the country with you. So what is a skier to do? SkiGenie would like to introduce LugLess, a personal concierge service for your skis to stay on course hassle free. I have never thought of what a trip feels like for my bag, but LugLess is committed to giving your bag a stylish, hands off journey to your destination at a reasonable price. A great business is one that makes your life easier and after speaking with Lugless founder Brian Altomare we like what he has to offer. For $99 each way you can ship a 40lb bag with your skis, poles and accessories you don’t want to see until you are slopeside. 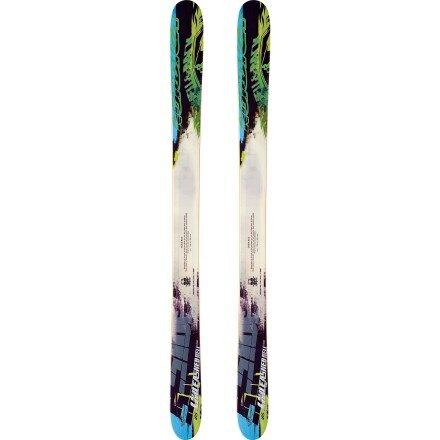 If the roundtrip price seems steep consider shipping your skis one way to ease the pain. I usually choose to ship my ski bag “TO” my destination ahead of time. Anyway you slice it LugLess value add is offering you a better rate than dragging your gear down to the local FedEx or UPS location due to volume based contracted shipping rates. Do you ever wonder how Amazon Prime sends you one hundred orders of household toiletries, books and ski movies to your house for only $75 year? If you choose to fly with your skis, you can check a boot bag for free with your ski bag. So, if you are a relatively light packer – use your imagination wisely and dream up a “boot bag” that is really nothing more than a second bag. Throw your boots on top and tell the agent it’s a boot bag and call it a day. The two bags together must not exceed the weight limit though. If you forgot to suit up with some new ski gear before Christmas you are in luck, SkiGenie is here to help. Take advantage of After Christmas ski sale with some HUGE sales from these top online retailers. Click on the banner promos for additional offers and discounts. Happy hunting and hope to see you out there dropping some HUGE lines this winter. If you have any gear related questions feel free to drop the SkiGenie a note (alex@skigenie.com). We love a good ski deal but often on-sale ski gear means stock that it is not selling well and the retailers are trying to clear inventory. Too often that is the case. However, we combed some sale gear and found a few amazing steals. These products were just overlooked, discontinued or are last years model (read: the same as this years with a different color topsheet or otherwise). Just when you thought there was no such thing as a free lunch. MEN’S, WOMEN’S, JUNIOR: SKIS, BOOTS, JACKETS, PANTS AND HELMETS AT 50-60 PERCENT OFF! 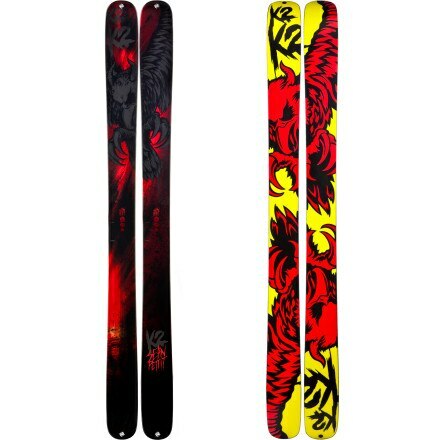 ___________________________________________________________________________________________________ UNISEX Black Diamond Aspect Ski (Wide Alpine Touring Skis) SkiGenie says: Only available in 156cm for an aspiring young shredder. Black Diamond makes big-mountain skis, freetour skis, all-mountain skis, and touring skis. 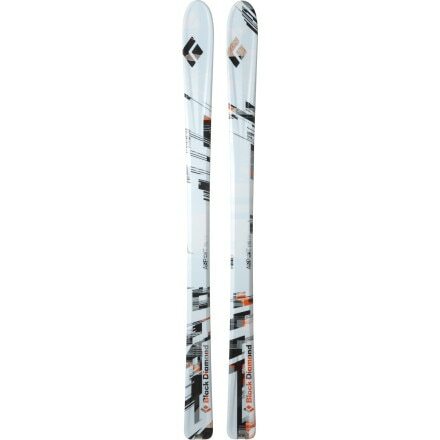 The Aspect Ski is dedicated touring ski with a versatile 90mm waist that’s not quite fat, but definitely not skinny. The flat tail gives away its ascent-via-skin-track heritage while the semi-rocker tip gives a nod to the influence of highly agile, powder-hungry ski designs of the present. You can push this wood-core ride deep into its aggressive sidecut in steep backcountry terrain and float it through post-storm tree stashes. 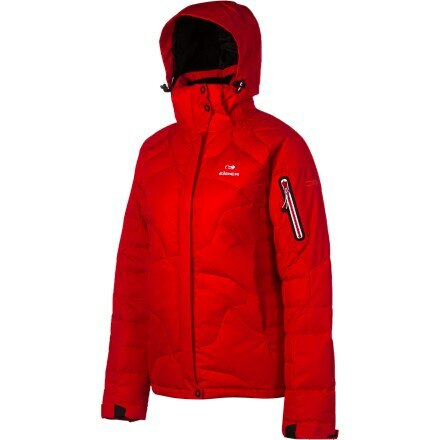 ON SALE HERE $288 (55 percent off) ___________________________________________________________________________________________________ WOMEN’S Eider Snowbird II Down Jacket SkiGenie says: Only available in sizes 8 and 12 but this is a killer coat and very warm. Sure, down is great for trapping warmth on cold days, but how many jackets let you take that heating power to the slopes’ The Eider Women’s Snowbird II Down Jacket is among a very small selection of down outerwear that can stand up to the demands of a hard-charging skier, without requiring another shell layered over it. And when the latest powder day is but a memory, you can enjoy this stylish jacket as you weather another city winter and dream of your next ski trip. ON SALE HERE $215 (50 percent off) ___________________________________________________________________________________________________ BOY’S Helly Hansen Legend Pant SkiGenie says: Only available in size 12 and 14; keeps feet warm with over the boots style. Get junior on the right track towards becoming a skiing legend with the insulated Legend Pant from Helly Hansen. The Helly Tech Protection shell fabric provides a waterproof and breathable barrier against tough winter conditions while the Primaloft insulation provides the necessary warmth to keep your little ripper out on the mountain from first chair to last. 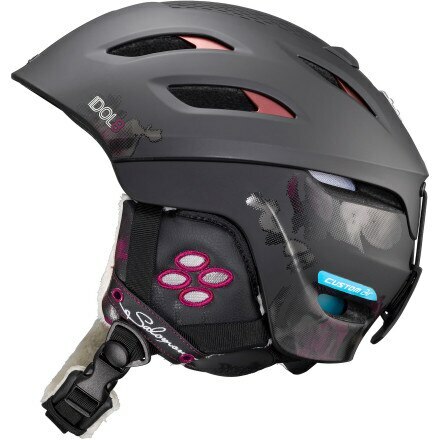 ON SALE HERE $44 (60 percent off) ___________________________________________________________________________________________________ WOMEN’S K2 GotBack Ski SkiGenie says: Only available in 174cm good for more advanced skiers. 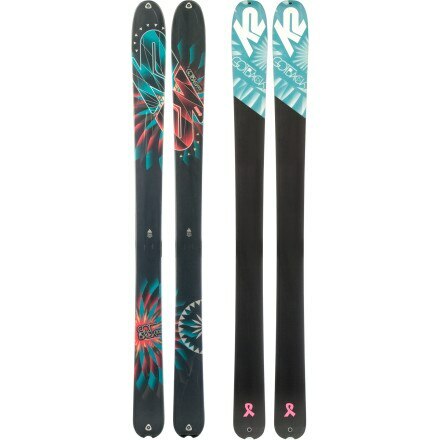 The K2 Women’s GotBack Ski has a little extra junk in its trunk (waist, actually) for added flotation in the deep stuff. ON SALE HERE $260 (60 percent off) ___________________________________________________________________________________________________ MEN’S K2 Pettitor Ski SkiGenie says: Only available in sizes 169cm and 179cm so I would recommend the shorter version for an advanced junior skier and the longer version to aspiring pow-doggies The K2 Pettitor Ski preys on big-mountain lines, powder, and any opportunity to go airborne. This is the stiffest ski in K2’s Factory Team series, and it was made that way by K2 team skier Sean Pettit. Because this is Mr. Pettit’s pro-model ski, he called the shots when it came to design and shape. Sean moved the rocker contact points closer together to create maneuverability and reduce swing weight, and he balanced the playfulness of tip and tail rocker with the control of traditional camber underfoot. The Pettitor will reward your breakneck straight lines and too-burly airs by delivering you back to the tram deck safely–it might look evil, but it really has a heart of powdery gold. 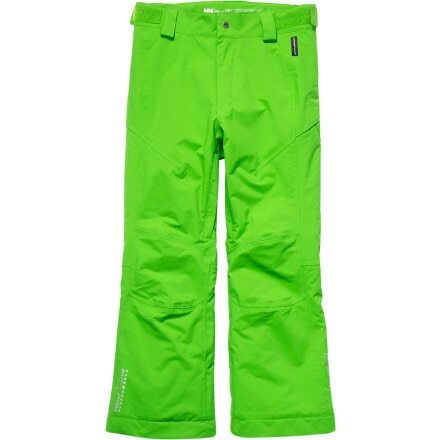 ON SALE HERE $336 (52 percent off) ___________________________________________________________________________________________________ MEN’S Mountain Hardwear Snowpocalypse Pant SkiGenie says: Only available in L, XL and XXL but this is a high quality pant at a fraction of the price. On those perfect mornings where you wake up, and everything is basically buried in snow, you’re going to want to put on your Mountain Hardwear Snowpocalypse Pants. 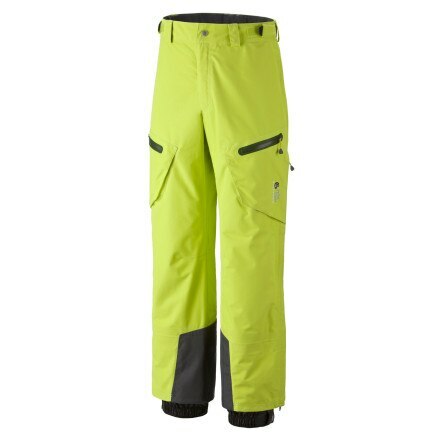 These burly pants protect you from the elements so you can enjoy that fresh powder. 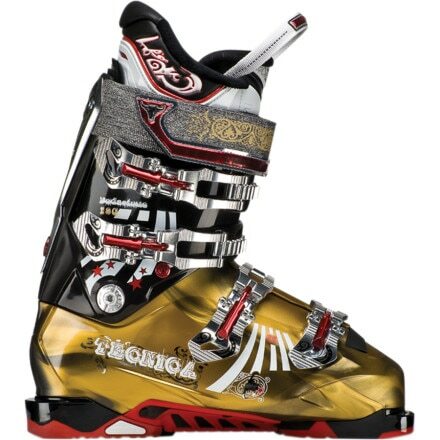 ON SALE HERE $157 (55 percent off) ___________________________________________________________________________________________________ MEN’S Nordica Firearrow F1 Ski Boot SkiGenie says: Only available in 25.5 and 26.5 but this is a STEAL; one of my favorite boots of all time. Since the ’90s, your skis have gotten progressively wider and more agile, but, curiously, your boots have remained more or less the same. 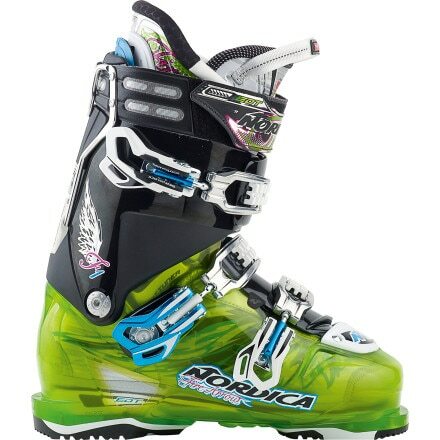 Designed to catch boot technology up with advancements in skis, the Nordica Firearrow F1 Ski Boot delivers high-performance features to drive those fat, fast, and freeride planks. ON SALE HERE $320 (57 percent off) ___________________________________________________________________________________________________ MEN’S Nordica Unleashed Hell Ski SkiGenie says: Available in 185cm and 193cm; a fantastic sidecountry ski with plenty of beef and the 193 would be great for you serious skiers. Big storms may be an inconvenience to tourists, but not to you and the Nordica Unleash Hell Ski. While vacationers hunker down indoors, you’re floating in and out of the sidecountry gates at speeds far too fast to follow. The ski’s modest camber lets you mach to your stashes without pesky plankers spooning your tracks, so you’re the first to smear giant turns down the bowls on this fat, fast, and floaty powder stick. ON SALE HERE $90 (50 percent off) ___________________________________________________________________________________________________ MEN’S Salomon BBR 10.0 Ski SkiGenie says: Available in most sizes 170cm, 177cm, 184cm and 191cm; a top rated ski with plenty of surface area to float like a boat. Featuring Salomon’s new patented V-shape, the BBR 10.0 Ski is redefining what an all-mountain ski should look and feel like. The rockered, surfboard-shaped tip yields to a narrow waist and tail for excellent on-piste performance and flotation in powder. 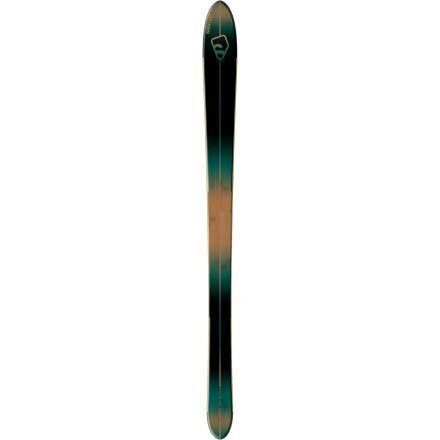 With a metal backbone and titanium and bamboo reinforcement, the BBR is a super-stable ski that knows no speed-limit. Lay down tight, powerful slalom turns with ease and float over the lightest fluff. The BBR is destined to revolutionize not only how a ski should look, but how you attack the hill. ON SALE HERE $315 (55 percent off) ___________________________________________________________________________________________________ MEN’S Scarpa Mobe Boot SkiGenie says: Available in 25.0 and 25.5; great touring boot There are AT boots, and then there are hard-charging, big line-slaying AT boots. 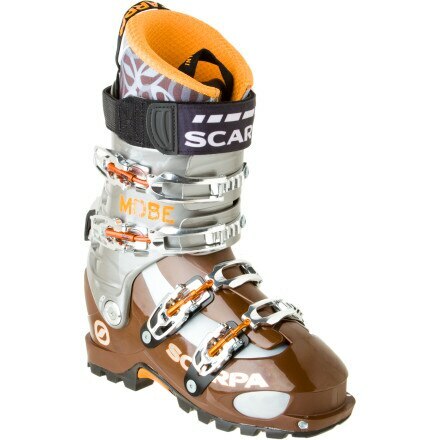 With a flex index of 125, the Scarpa Mobe Boot falls in the latter category. As your day weaves in and out of resort boundaries, you want the freedom of an AT boot and the performance of a solid freeride boot … and the Mobe is your answer. ON SALE HERE $337 (55 percent off) ___________________________________________________________________________________________________ UNISEX Smith Variant Brim Helmet SkiGenie says: Available in Small only; I guess it pays to have a small noggin. 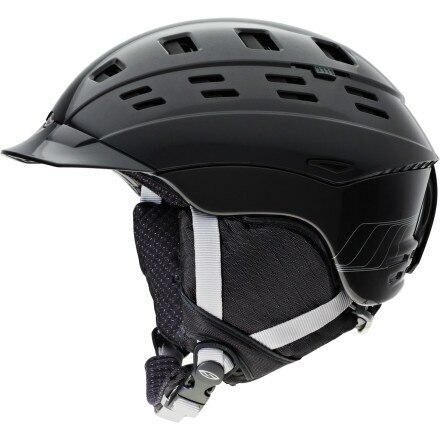 Back for another year and better than ever, the Smith Variant Brim Helmet protects your noggin from dings and integrates with your Smith goggles to improve venting, limit goggle fogging, and eliminate dreaded gaper gap. ON SALE HERE $76 (55 percent off) ___________________________________________________________________________________________________ MEN’S Tecnica Bodacious Ski Boot SkiGenie says: Available in 25.5, 29.5 and 30.5; so for those with big feet come get this top performance boot for dropping those big lines. If you’re looking to get radical both in bounds and out, the Men’s Tecnica Bodacious Ski Boot is the stiff-flex high-performance footwear of choice. The snug 98mm last, 130 flex, and traditional 4-buckle design provide the necessary power and control for the most brag-worthy lines. Heat mold the Ultra Fit Pro liner for a custom fit, point your tips in a downhill direction, and get ready to shralp the gnar.